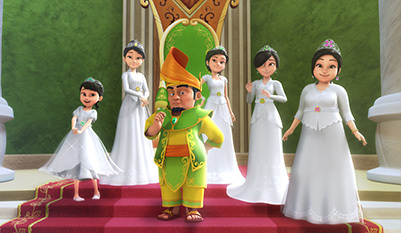 “Puteri” (Malay for “Princesses”), is Les’ Copaque Production Sdn. 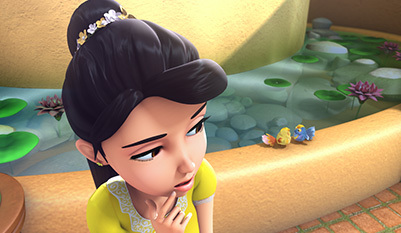 Bhd.’s third 3D animated series. 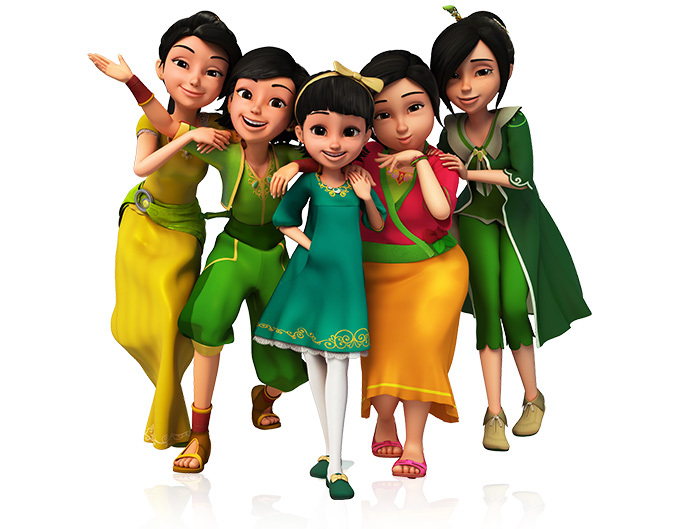 The series revolves around five sisters – princesses of the fantastical Kingdom of Limes. 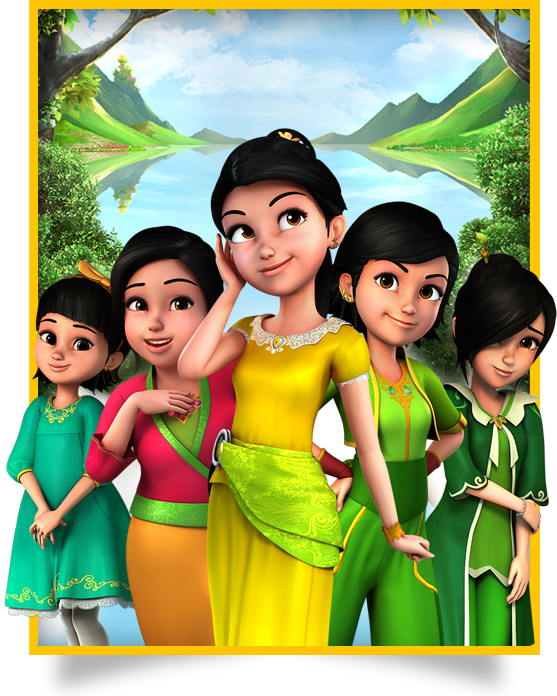 They live in a huge palace with their father the King, who is a benevolent and strict ruler. 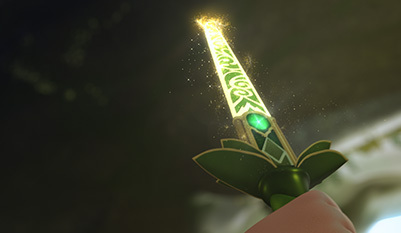 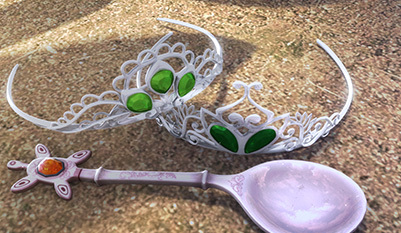 Their mother the Queen has passed on, leaving each of her daughters a legacy in the form of their very own special accessories which can turn into magical weapons. 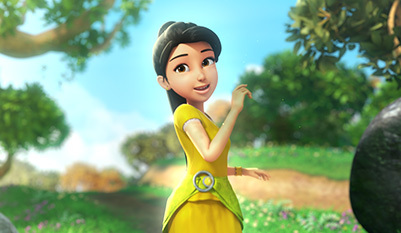 Puteri Limau Manis, the eldest and heir to the throne, is the beauty of the family, and able to captivate anyone and soothe anger with her sweet voice. 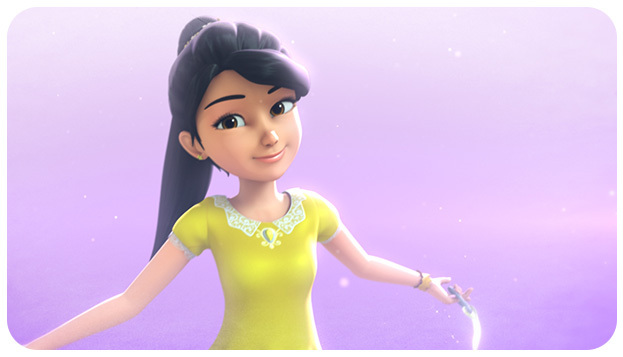 Next to her in age is Puteri Limau Kasturi, the warrior at heart and a self-proclaimed tomboy who loves the outdoors and swordplay. 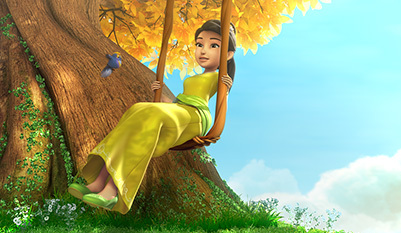 Puteri Limau Purut is shy, timid, and loves a quiet time in her garden, but makes up for her bashfulness by being the most brilliant of her sisters, thanks to her love for books. 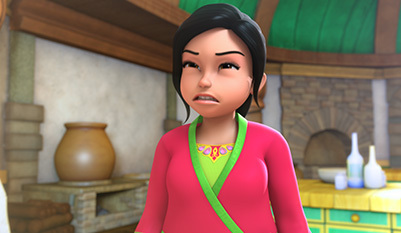 Puteri Limau Bali is the polar opposite of Purut, full of energy with her sparkling, infectious personality and her love for food and cooking. 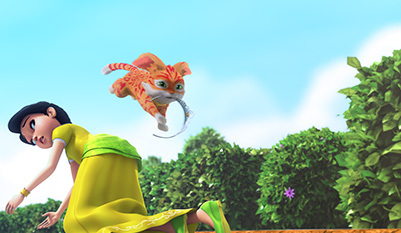 The youngest and the baby of the family is Puteri Limau Nipis, who is adorable and loves to play with her pet cat Jebat around the palace compound. 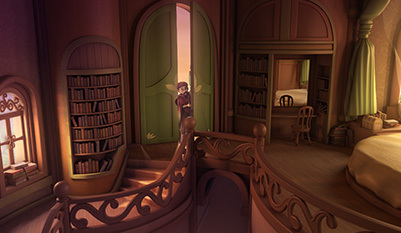 In every episode of the series, antagonists of men and magical creatures come to corrupt the kingdom. 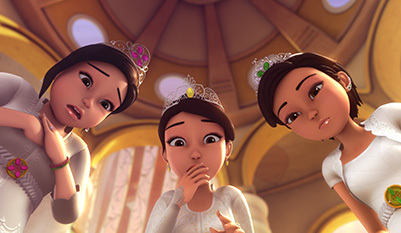 The princesses will band together and make use of their abilities to save their kingdom.